I have seen them in documentaries on Tibet, in Brad Pitt's movie "Seven Years in Tibet: or other such shows on the Himalayas, but I didn't know they were prayer flags. I didn't give them much thought. Until, in brainstorming for the next project, one of us suggested prayer flags. "A prayer flag is a colorful panel of rectangular cloth, often found strung along mountain ridges and peaks high in the Himalayas. They are used to bless the surrounding countryside and for other purposes." So if that village in Nepal that Shin Hye went to December 2009 was in the highlands then she'd have seen these on top of temples or mountains.. Prayer flags started as sutras (scriptural narratives or a rule in the Sanskrit literature) written on banners that traditionally, comes in sets of five, one in each of five colors representing the elements, arranged from left to right in specific order: blue (sky/space), white (air/wind), red (fire), green (water), and then yellow (earth). Prayer flags are gentle reminders, bringing us back to our essence and helping us to open our hearts and minds. When we hang prayer flags, we create the intention for more kindness for ourselves and all beings. 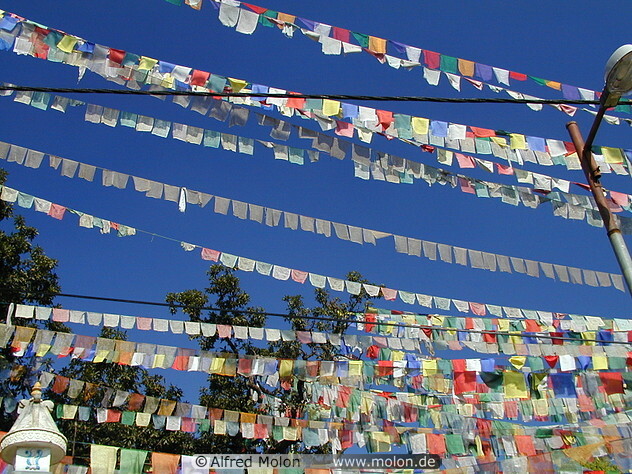 "As they wave in the wind, prayer flags lift up and carry our wishes for compassion, peace, and healing around the earth. 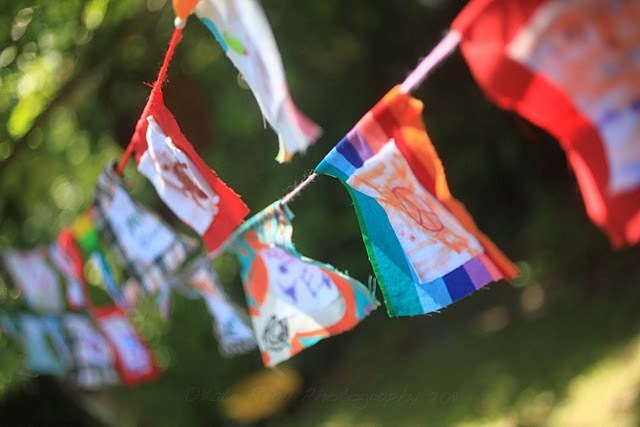 Prayer flags encourage us to live more mindfully and help us to restore our own inner calm." 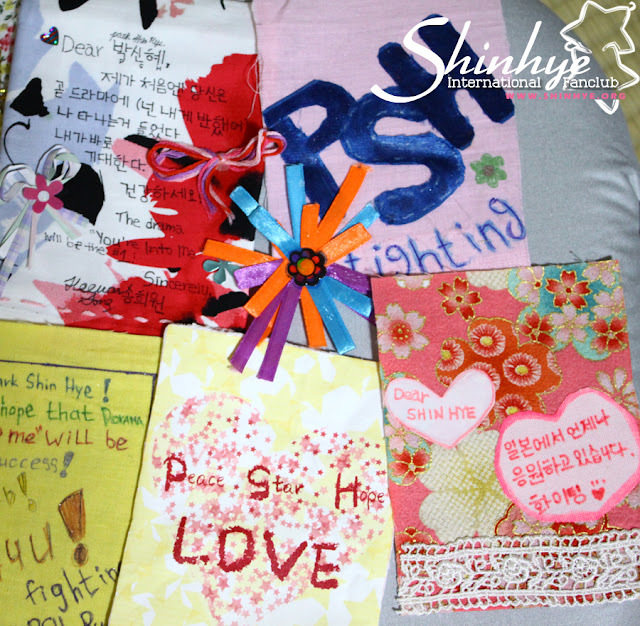 Ours, PSHIFC's, will be just as beautiful for "as wind passes over the surface of the flags..the air is purified and sanctified..." by hopes, wishes, and prayers for Shin Hye from around the world. 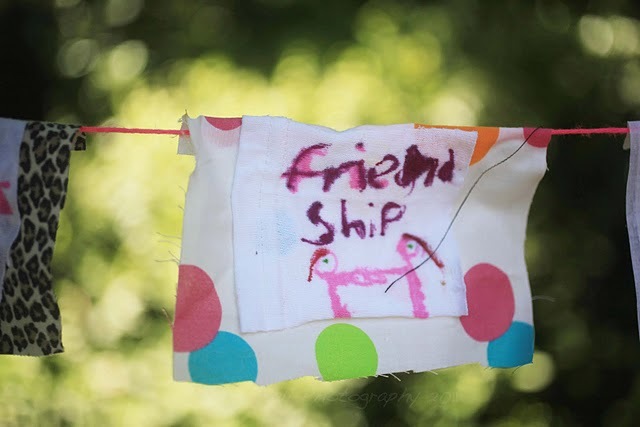 Choice #1: If you don't have time in your schedule to make a prayer flag of your own, you can comment under this post [click here] with your message to Shin Hye (Please include your name and country) and we will write it on a prayer flag for you. Admin X (identity withheld, awaiting further psychoanalysis) was really sweet to make 150 of them. This is a first come first server basis, so don't wait. 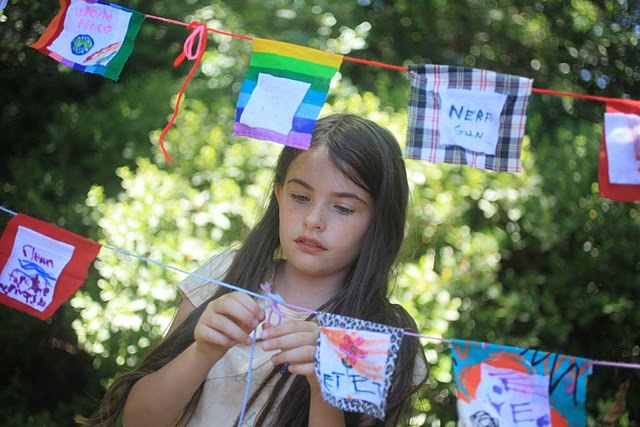 Choice #2: Another option: you can make your own flag. Flag specifications are here: (CLICK HERE) Our admins are leaving on the 21st of July for Seoul so calculate how many working days it takes for your packages to reach Japan plus three days, time allowance. And that's your working deadline. -Your message can include a meaningful quote or quote to give courage/strength, etc. -Please limit your message to several lines. Thanks. And don't forget that Shin Hye loves HANDMADE fan gifts!! regarding the donation..can we donate just like what we did in the japan project for those who don't have paypal account or credit cards? we will always be here to support and love you! keep Fighting! God bless you always! I am Karen Julongbayan from Philippines..I really want to see you in person but so sad i cant.. I'm your thai fan.You have fanpage in thailand.Do you know? We will support you in all day. ^_______^ . You was happy with everything to do.Have a nice day in all day.Your pleasure make my happy. I will so happy . so happy. I'm Nina Perez from Philippines.. I realy realy like your korean drama you're beautiful. every time I use my internet I always visit some of your fan pages. because I realy want updates about you. I'm realy happy because you have achieve so many things in you're life now especially in acting. Im looking forward now to watch you're new korean and taiwanese drama. keep smiling, always stay adorable. Always be happy. may you always be in good health. good luck to your more incoming projects in the future. God bless you always. you're loyal fan: Nina perez. to shin hye good luck to your drama Heartstrings can't wait to watch that.. just take care always be happy and more more bless for your career..
all Filipino stars are always here to support you, and i hope someday you will visit here in the Philippines.. always pray to God. thank you shin hye!! Hellos Shinhye, best of luck for all your upcoming drama! Best wishes to all 4HIM entertainment, esp to Mr Junhwan!! You've been an awesome multi-talented actress and i feel honored idolising you! Remember to have a healthy diet! Eat more and sleep well!!!! Strive on! WE <3 HACCI! Hi, Miss Shin Hye! I'm a big fan of yours! I'm Jean from the Philippines and you know what? Your Movies, dramas, interviews and EVERYTHING about you always makes me happy whenever I'm sad. :)) I wish you Good luck in your life and career and Good health too. God bless, Shin Hye. Take care. I'm not really a big fan of yours But I lurve your "Without Saying"
I have been following you from your the first drama, when you was young. we'll support and encourage you forever. Hope you are enjoying in your job. We are happy to support you ,see you smiling and laughing. I hope someday we'll be welcoming you to Thailand. Hi Park Shin Hye! I am @haccipark in twitter! my name is Tan Qian Ying from Singapore! i created twitter because of you! but quite lonely at there.. my friends play fb.. not twitter.. I am a big super fan of you! You are so pretty! I love you so much! Please take care! with lots of love n care from neha (nepal). I hope to welcoming you to Thailand! happiness is not in luck but in his conquest. I am Patricia from Philippines. I am your big fan. You are so beautiful and kind. Always take care. Fighting! SARANGHAMNIDA! I am one of your fans from the Philippines. I admire you not only for your oozing talent but for your warm and kind hearted personality as well. i always consider you as a gem of the korean entertainment industry because you always maintain good friendship with anybody you worked well. Continue to be such. Continue to be a good role model to everyone. Continue to be an inspiration. Continue to be a good and loving daughter to your parents. Continue to be a good and supportive sister to your brother. As a fan, i will always be supportive and loving of you. I pray for the success of Heartstrings and Hayate and all your other projects. May God Bless you more. Park Shin Hye thanks for your great performances! Im a big fan of yours.Thank you for making us happy to see your smile.Wish you a good health,more success to your career and healthy lovelife.God bless! Shin hye, fighting!! Even if the world end, I will always support you :) keep shining like stars on the bright sky. Your fan from Indonesia, Kenny. Thank you to all the admins of PSHIFC for giving us this chance of showing how we truly love Park Shin Hye..I believe that the PRAYER FLAG project will be very successful and SHin Hye will surely be touched.. :)More power to PSHIFC!! Hello Shin Hye,just like the prayer flags in the wind,our love for you will always be like a wind,following you in every path you take,and I hope just like the wind,you can feel our presence whenever you feel down..we will always blow our love saying FIGHTING! !hehe..We love you so much,at my age,I didn't know that I'll still be a fan,I thought that being a fan is just for teenagers,but since I met someone as good and as talented as you..I will always be proud to shout to the whole world that I am a fan of Park Shin Hye! !Hope to see you continuously shining in the future! !God bless you! --Jasmin Crisel from the Philippines. I'm Ary Charisma Paraseri from Yogyakarta-Indonesia. I have no words for u. Because My Belief, u can do the best for ur life choices. my belief is so great to you. You are my inspiration to become a better woman. I even tried to reduce my weight to be the same as you. the point is you are my biggest inspiration. I'm a fan in thailand.You're the one girl star that i want to know when you have to make anything.Me and myfriends have a group of fanpage is name is sok-park lover to keep your news.I'll aways support you. I will support you guys ALWAYS!!! Ill come and visit you Guys soon!!! I'm Makee from the Philippines.May you have more projects to come.I'll always be your fan,Forever :).Always do your best and take care always!Godblees! FIGHTING! <3 you forever! I'm Makee from the Philippines.May you have more projects to come.I'll always be your fan,Forever :).Always do your best and take care always!Godbless! FIGHTING! <3 you forever! i always support you, be a good girl heart, an artist full of talent (cast drama / movie, singer, dancer)..
me and all who have always loved you will always support you princess..
keep the spirit in life..
live your day with a calm mind.. peace.. full of love..
ur such good creation from above..a good heart and made different races around the nation to be together..
hope youll never change and continue to encourage and bring difference to each and every ones mind and heart and happiness to all of us..more power and project to come...and most of all may you found HIM....hehhehe a true man and true love that is forever!!!! I love your dramas and movies!Your acting skills is superb! I love You're Beautiful so much! Go Mi Nam is so cute and lovely! You have brightened my days with your smile! I am so looking forward to Hayate the combat butler and Heartstrings,as well as your future works! All the best in everything you do and continue to stay cheerful and bring happiness to the world~ Do take care of your health too,especially when your schedule is so tight. We will always support you! Fighting!!! I request have there is the progress in the work and have one's hopes fulfilled for what , wish every the points. I wish you a day and everyday that is filled with wonder and delight! I promise I will support you "PARK SHIN HYE"
I am from New York and I love all your talents from acting to singing. I will continue to support you and wishing you good luck everyday. Also thanks for all your hard work in bringing happiness to other people! I'm Lindsay from Malaysia. I Wish all the best for your "Heartstring" drama (together with Bolmae Jung) .. hopefully it will success throughout Asia...Please take care yourself and God is with you always!! I'm Hong Hae-Lim and i'm from Vietnam. Since I watch your movies and fall in love with you (as sisters,of course),I've always dream to see you.I didn't know about you from A-Z but in my heart and other Star Angels,you're FOREVER the shiniest star in the sky.We love you not only because you're beautiful,but your fresh and energetic passion for your dream no matter what it is.As a Star Angels, Angels-to celebrate your upcoming drama "Heartstrings",we wish you'll have a great time during filming, and always keep the faith of doing what you love.Be healthy,be yourself and always shine like a star!! !^^Heartstrings fighting!!! & Success to your dreams. and beautiful in this world. and beautiful in this world.I will continue to support you and wishing you good luck everyday. "I'm not supposed to love you, I'm not supposed to care, I'm not supposed to live my life wishing you were there. I'm not supposed to wonder where you are or what you do...I'm sorry I can't help myself, I'm in love with you." our one love SHIN HYE!!!! Im here to support and to protect you,..
i hope you can smile and have a successful career always! loving your dramas and songs forever!!!! i wish that i can see you in person again!!! remember the sunflower i gave you when you reached the airport????? please don't forget me..
loving you always! please take some pictures of the prayer flags from us to you! thank you PSHIFC and all your affiliates! thanks to them i can get your news! thank you your PSH Singapore branch too! Hi Park Shin HYe,i love your all movie,but cause i just found PSHIFC,i know your better and i know your beautiful inside & out,but nothing i can say more than i love you PARK SHIN HYE,GOD LEAD YOU ALWAYS & FIGHTING,I will always support for you.A fan from USA-Los Angeles. Wishing you happiness, hope, and courage. Fighting! Love you Park Shin HYe... Hearststrings fighting! Nothing from the outside could hurt you if you are right in the inside! Praying for strength to overcome all obstacles, excellent health condition to overpower all forms of stress and overflowing joy to exude the aura of freshness and righteousness always! You are doing fine...keep on! I love you so much take care..
your satisfaction comes from your commitment to advancing a better world. Shin Hye ssi, Fighting! Ever since I first saw you in Stairway to heaven(7 years ago), i told my self " this girl will make it big someday" and look where you are now!lots of people look up at you. Detractors will never cease especially now that you are popular, dont ever let it affect you but make it your inspiration to be a better person. May god be always your guide in your journey. Annyeonghaseyo Park Shin Hye and Jung Yong Hwa!!!!! I LOVE Oppa and Onni so mich)...ha-ha..."i am turn red in the face"
Good luck on your drama "HeartStrings" (You’ve Fallen for Me 넌 내게 반했어) with Yonghwa. I know you will be working so hard for this. I pray for both of you and cast to stay healthy and give the best. Wish all the success for the drama. I hope we can meet soon! I wish you all the best in your upcoming drama and the future dramas ahead of you~! Always be here supporting you....Hwaiting~!!! to mee, karen and ate maize.. thanks ofr this opportunity and bringing SH closer to us.. thanks! Hope your every dream comes true. Hold on to your dreams...with all your might. Here's wishing you and Heartsrting a ton of luck! Your fans from Peru, Claudia, Faby, Patty and Elba. I'm your big fan from Ukraine! I wish you be happy and good luck! You're a great actress and I love how you do your job because you do 100% natural ... and You are very beautiful & very funny !! The first time I saw you was acting in the series "you are beautiful "and i finished a few months ago and loved it! I am so excited to see "heartstring" although it take to see it because I'm half a world away.I would like to be in Korea so I could watch the series "heartstring" and admire you more better ..! Good luck to you in your projects and what will come!! Hi I'm Sheyne Angeli from Phil. I'm an avid fan of yours! career and to your health as well.. I start to learn Korean because of you. I really want to know what you are saying. I'm waiting your series everyday. You're very tatent, I really admire you. You may never realize that how much we really like you. I will be always with you. I wish you the best, heathy and happy. always be happy,healthy and successful. Hi! I am Heather from the US. HACCI,Im your no.1 fan here in PHILIPPINES,. wish you a very very GOODLUCK to your projects,. and GOD guide you,..GOD will bless you always,. Thank you all for organising this meaningful event, may I send two messages to Shinhye and Yonghwa seperately? Your natural personality charms me :) Do stay happy and healthy! Fighting!! You add colours to my life, life becomes so expecting! Love your charismatic smile :) Fighting!!! Hi Shin Hye, I am Sin Chien from Malaysia! You have actually become my idol since your drama "You're Beautiful" and I started to follow all your news since then. Currently I am planning to go for a trip to Seoul and I really hope I have a chance to meet you in the future! Hope you can follow me on twitter too! ^^ Take care and stay happy always! Actually i just wanted to say 'Thank you'... For everything you do, thank you. You're my stimulus for life! Thank you~ I'm very happy to be your fan! Take care and stay happy, Shin Hye! whatever situation you are into, I pray that you stay close to God. He got every details covered. Trust in Him with all your heart and He will direct your path. More than success, may Happiness, Friendship and Meaningful Experiences go well in everything you do. You may never know this but there is this one special star..shining brightly..touching our lives in a special way..and that is YOU. I hope Admin X can still accomodate this prayer of mine. If so, thank you very much and God bless you. Thank you also to PSHIF for this wonderful idea. Admin X, can i have a request? Can you put..Dear Shinhye before my message. it does matter to me. sorry for my randomness. I pray for Heartstring and Hayate's success. I expect great things from you and for you guys! Just give your best and rest assured it is not wasted. i am here to support you. to all the cast of heartstring .! i know it would be a successful project especially to my ONE & ONLY STAR SHINHYE .! more projects to come .! LOVE YOU VERY MUCH .! live peacefully and happy life .! PS. To PSHIF Thank you for coming up with this wonderful idea! Thank you for all your hard work! Hi I am Huixin, your Big fan from Singapore, firstly I can't describe how joyful I am to write to you again. You were the one who made me wanted to learn Korean so that I could communicate to you one day. I am a real BIG fan of you since I watched "You're Beautiful". I love your acting and image in the show, you are very talented and cute in it. Your natural personality really charming! Recently I have been watching your latest drama , you were great in it, so cute and sweet! I am now waiting patiently for your latest drama , will support for all the dramas you act. Hope you will excel more in acting and I love to see you dance and sing hope one day you will cut an album of your own, I will definitely and always support you. Please take good care of yourself and hope to see you in person one day. Last but not least, love you always!!! Looking forward to your latest drama with Shin Hye, you are very talented in acting, hope I could see more of your acting and different personality of you in upcoming drama. Keep fighting!! "To get something you never had, you have to do something you never did. When God takes something from your grasp, He's not punishing you, but merely opening your hands to receive something better. Concentrate on this sentence... 'The will of God will never take you where the Grace of God will not protect you." Hi Shin Hye. I love you! You are the most inspiring actress of all time. Not only are you a great actress, you care, and that means a lot. I hope to see you again someday. Miss you lots and super excited to watch your upcoming dramas. Fighting! PSHIFC Admins, Sorry for the typo above. (T T) Please still include my message for Shinhye. we hope this series will be successful though we know that it will sure be successful just like your previous series, or maybe more successful! We hope to see more of your works because we feel sad not seeing your face as watching tv series is the only way for us to be close to you. We will always be here to support you and to cheer you up every time you are down. We also hope that you will visit Thailand soon. I'm Makee from the Philippines.May you have more projects to come.I'll always be your fan,Forever :).Always do your best and take care always!Godbless! FIGHTING! <3 you forever!Saranghae! 넌 내게 반했어! :) Fighting!! Thank you for always putting a smile on my lips every single time that I watch you. I am truly very proud of you! May God bless you always. Was the comments for theCheer Up Project book? yung hwa and shin hye keep fighting,we are here to support both of you.i love this drama very much,thank you for inspiring us..hoping that the two of you will have another drama to come.may god bless you both..
i'm your fans . i love you wic jung yong hwa . hopes both of you will have another drama again . i always support you .